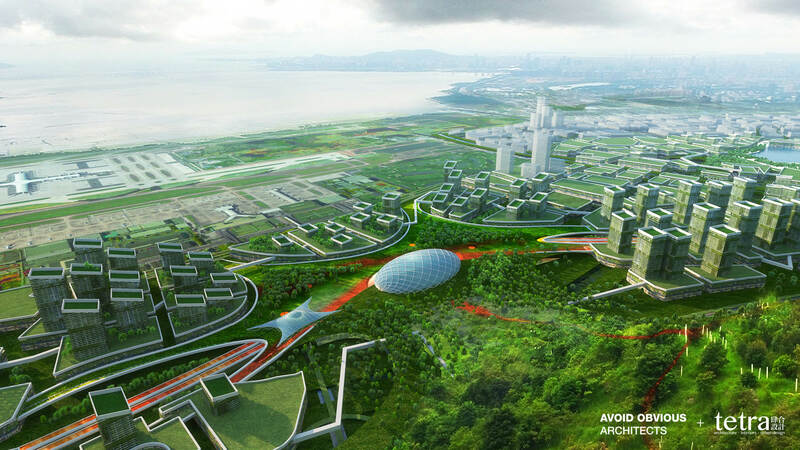 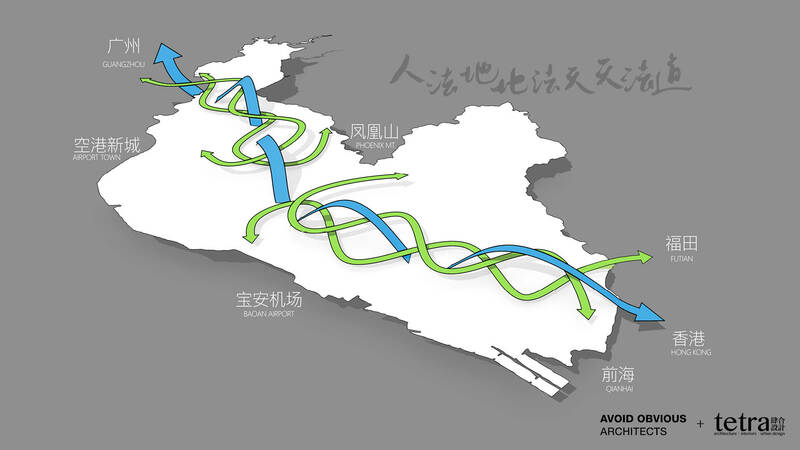 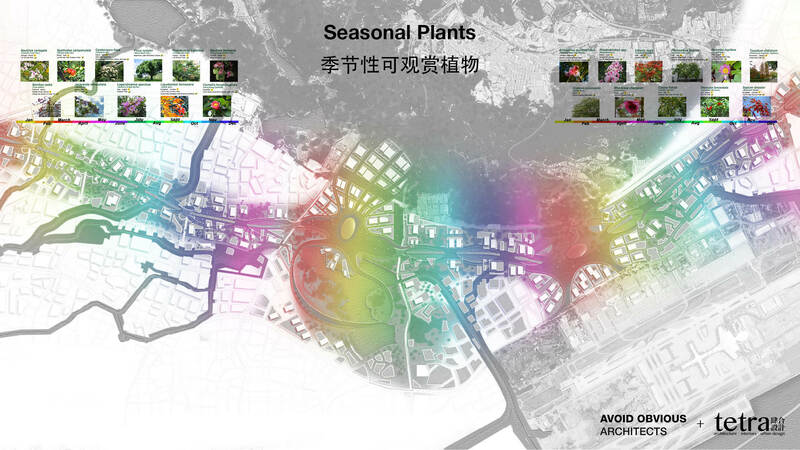 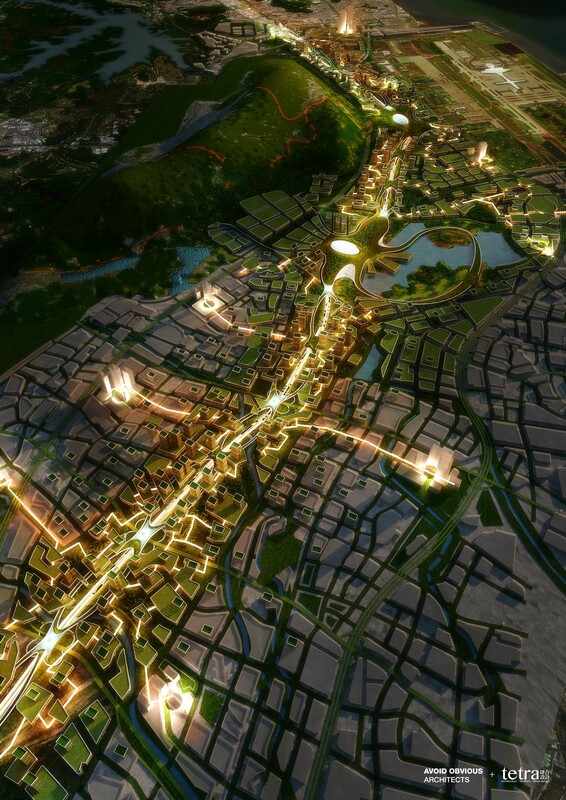 Our team was invited to redesign highway G107 and its surrounding area in Bao’an, Shenzhen. 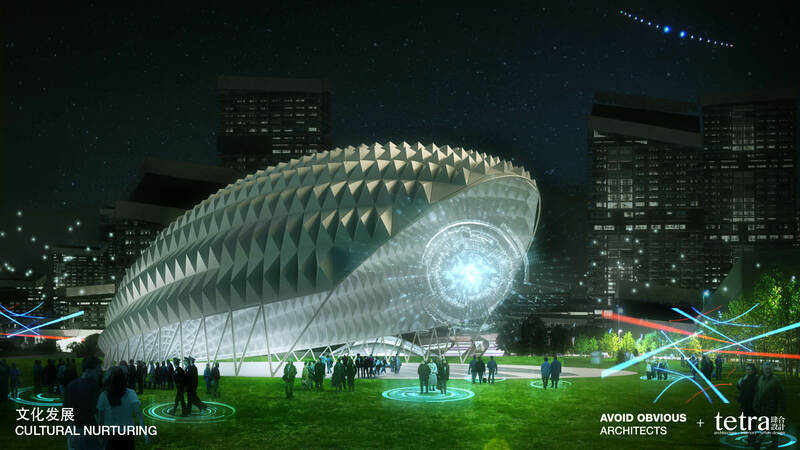 The other competitors included OMA and 5 global design firms. 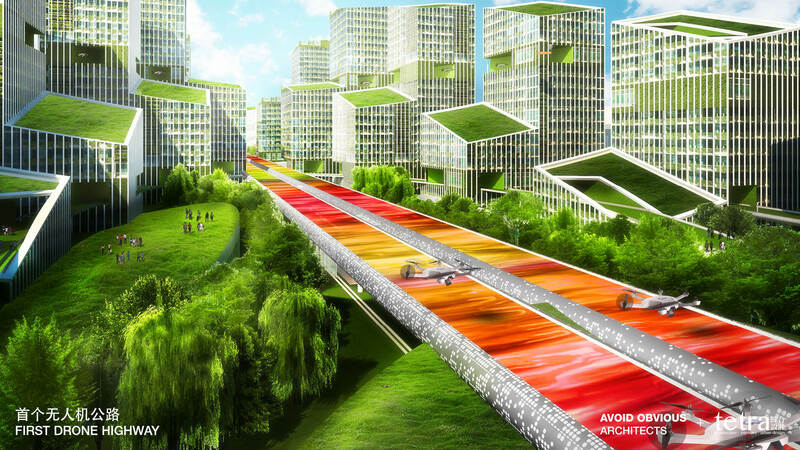 Bao’an is upgrading its old manufacturing sector to be sustainable and technology oriented, the city of Bao’an also wants to modernize its 30km long 12-lane G107 highway to allow for more efficient transit and new real estate development projects. 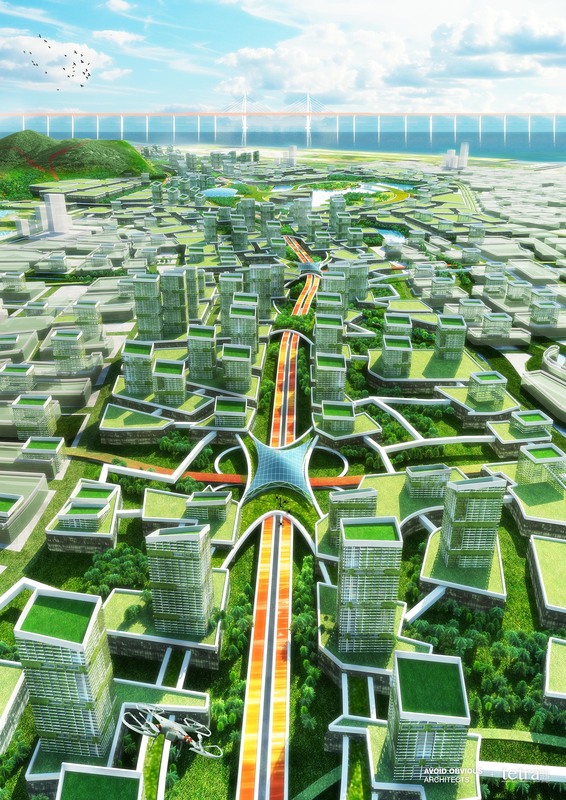 We started the G107 challenge by questioning the role of a highway. 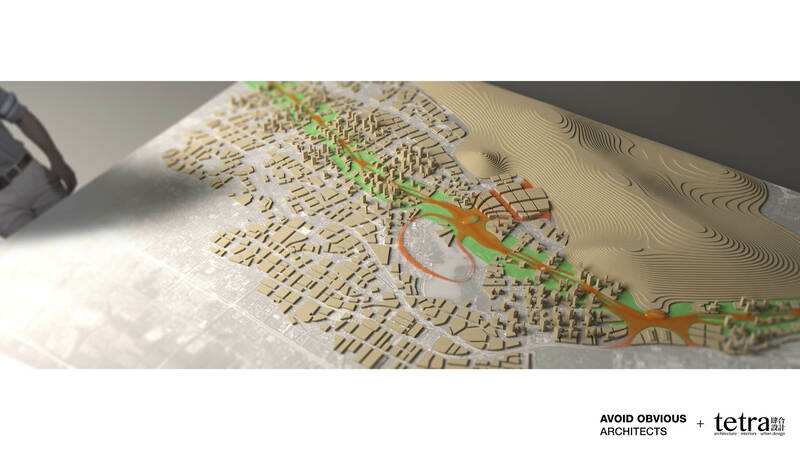 We propose that traditional highways are outdated and inefficient. 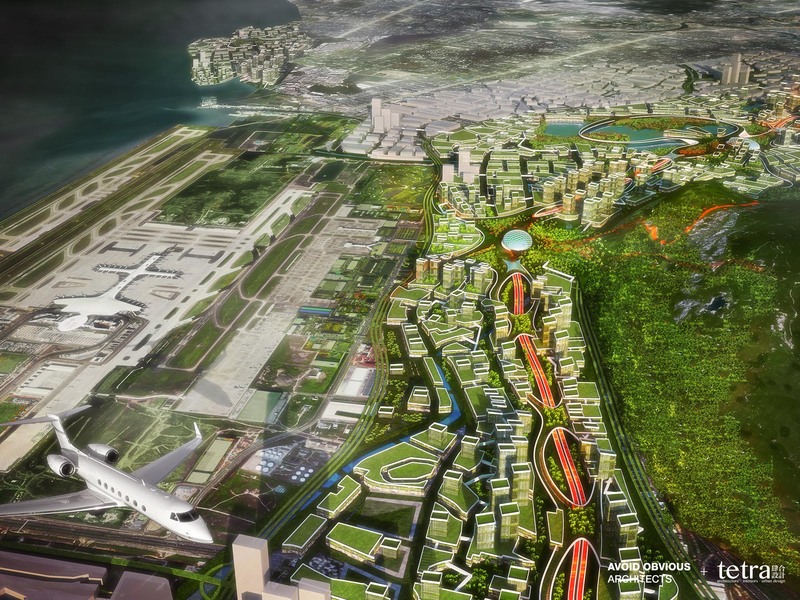 Our presentation will demonstrate that multimodal transportation systems that integrate automated technologies like drones, auto-pilot vehicles and high-speed transit are the future of 21st century urban development. 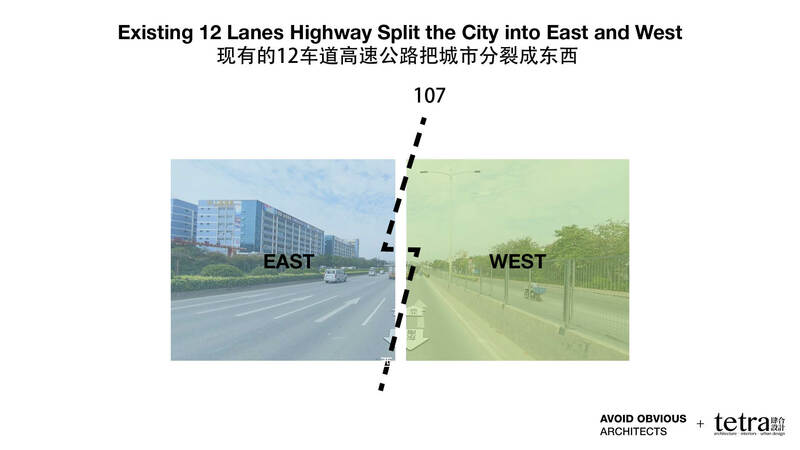 We believe there is no need to expand Bao’an’s 12-lane highway. 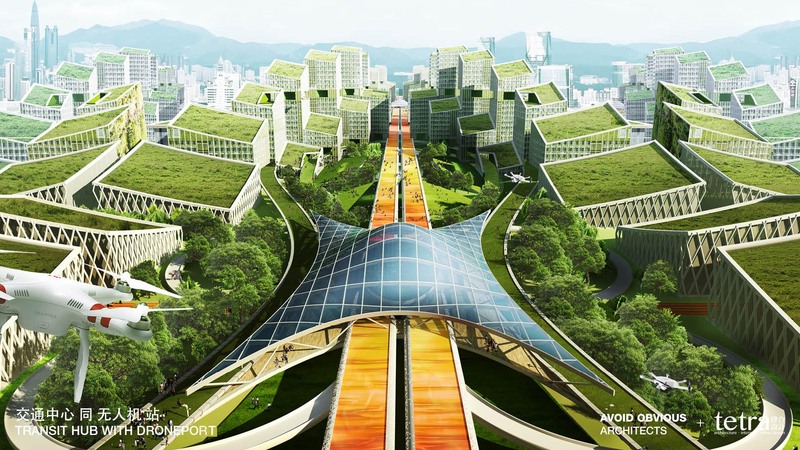 Instead of treating the traditional highway as a fixed piece of infrastructure, we will design a smaller, more fluid, multi-layered, thoroughfare that will be a spectacular starting point of growth for an organic smart city. 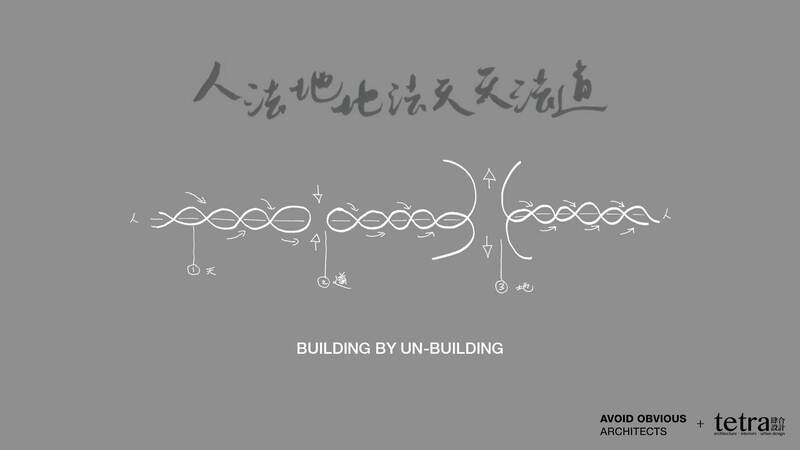 We borrowed design principles from nature. 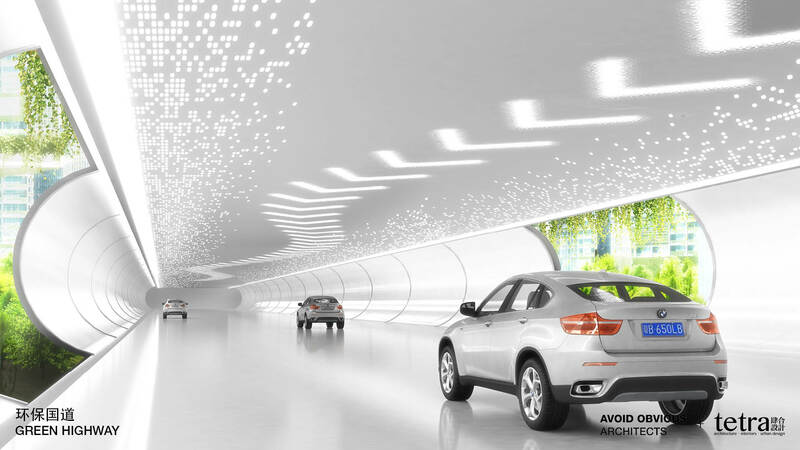 We will elevate the 12-lane G107 into two 4-lane enclosures for better pollution control. 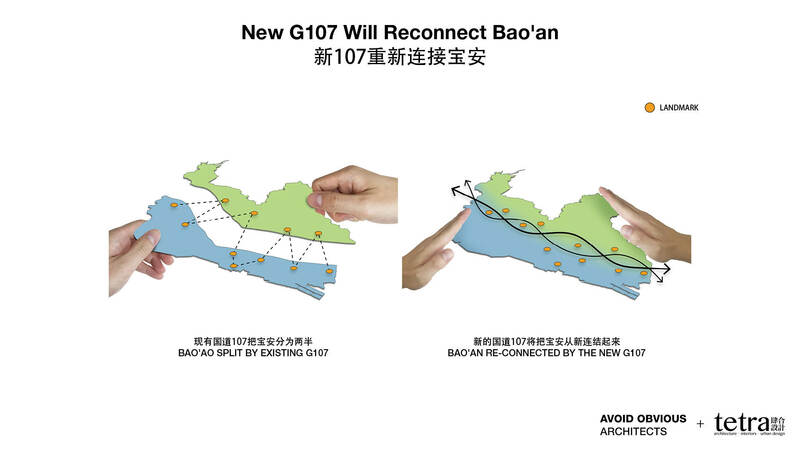 The new G107 will weave vertically and horizontally throughout its 30km length. 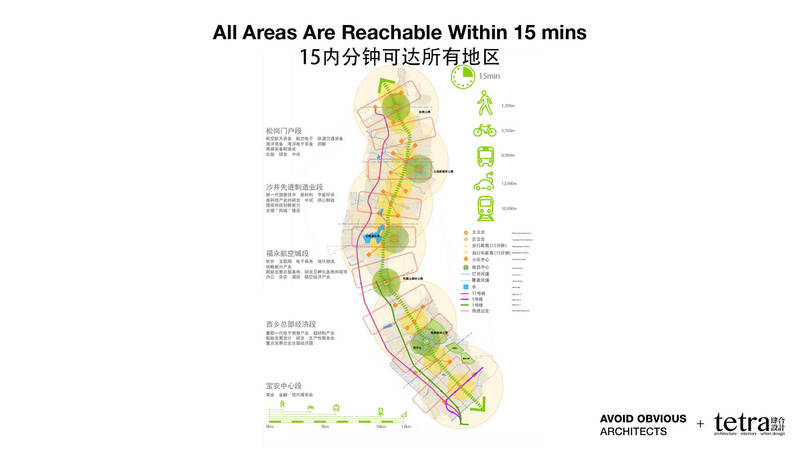 It will have sections at grade, above grade and below grade. 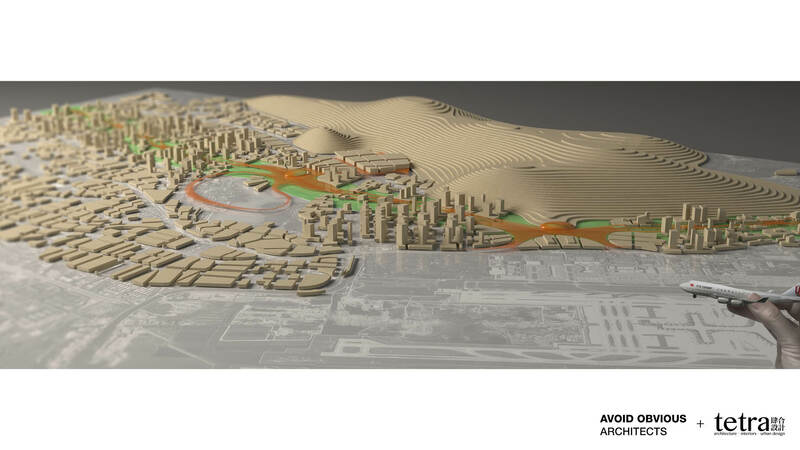 All three sections will include spaces where the ground surface will be opened up for greenery and public amenities. 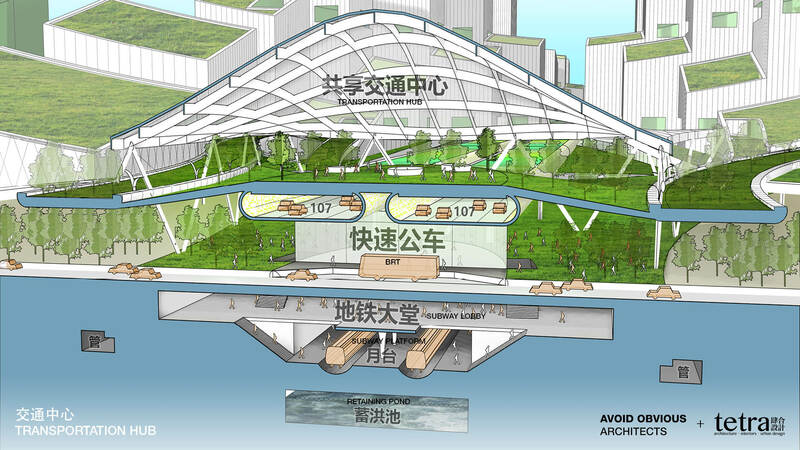 Above grade Green platforms will weave through buildings on both sides of G107 to provide pedestrian access to new transit hubs. 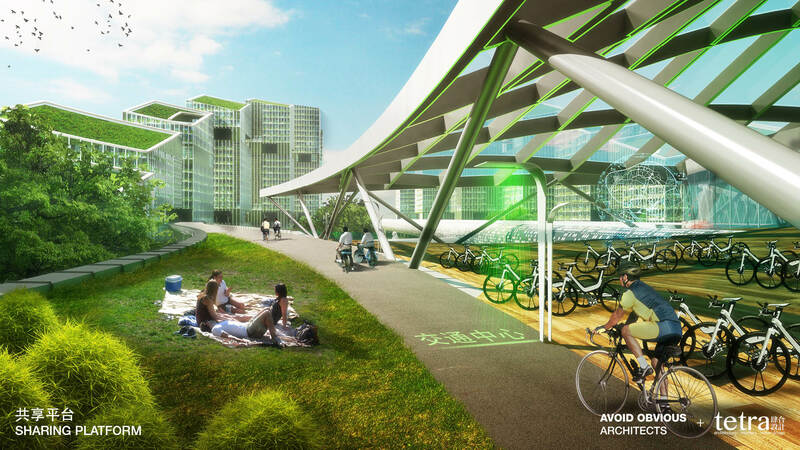 Multimodal transit systems will be employed making travel time from one area to the next within a 15 minute timeframe. 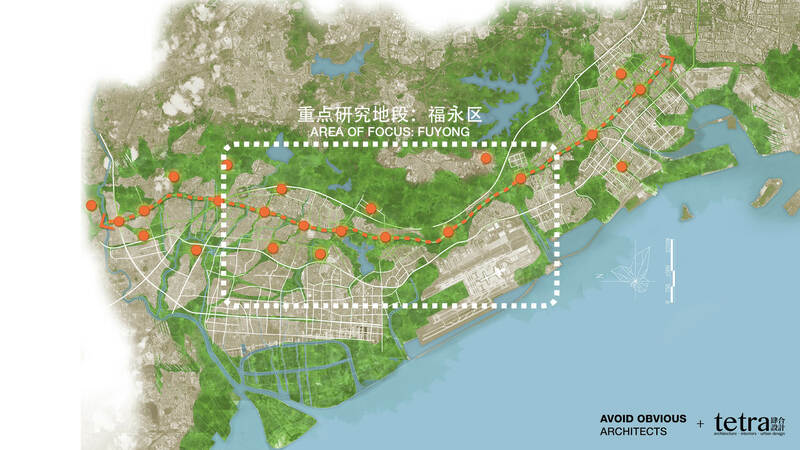 An added benefit will be to reduce the city’s dependence on cars. 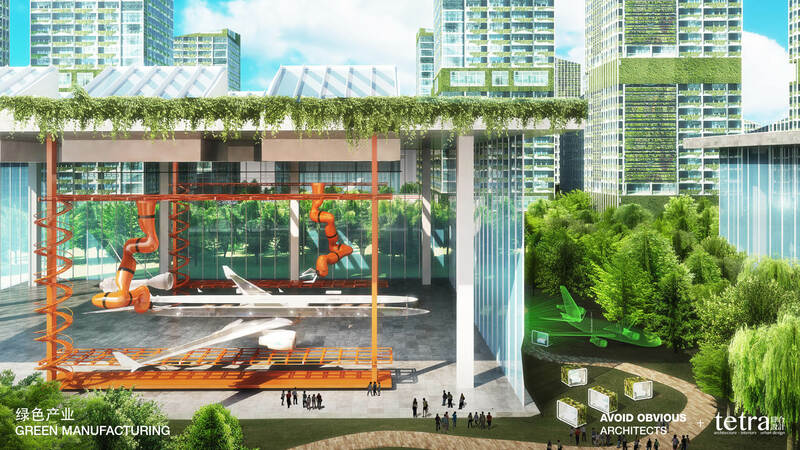 The new G107 will not only bridge the natural and public amenities together, it will also add space for new cultural centers that celebrate art and design. 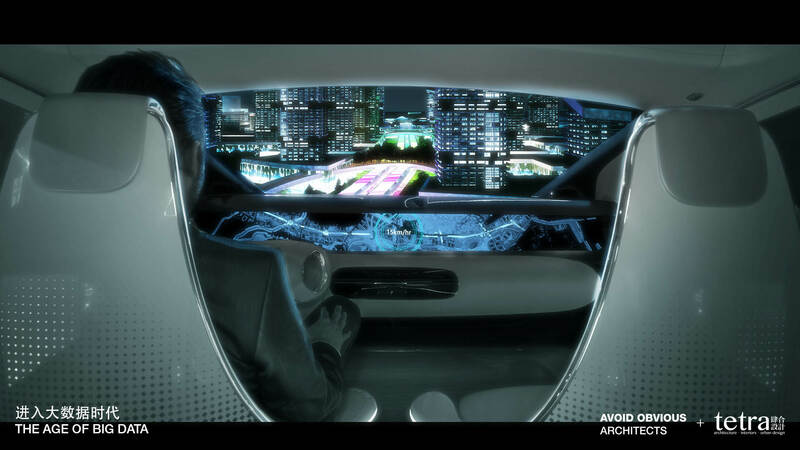 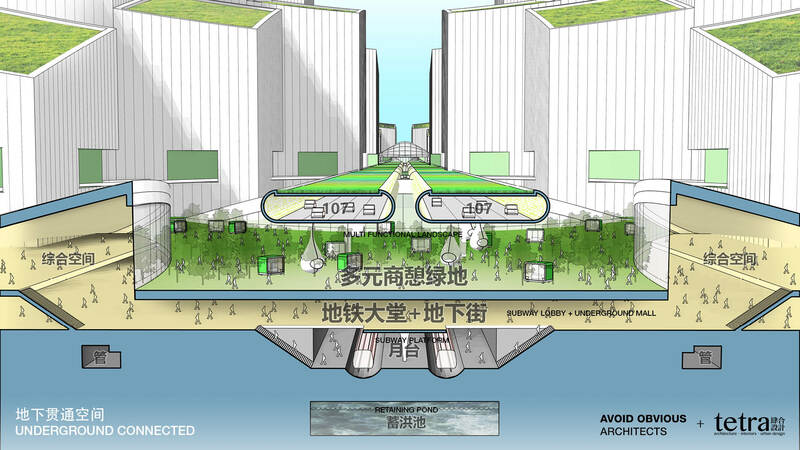 The new G107 will be an organic merging of transportation modals and urban planning in three dimensions. 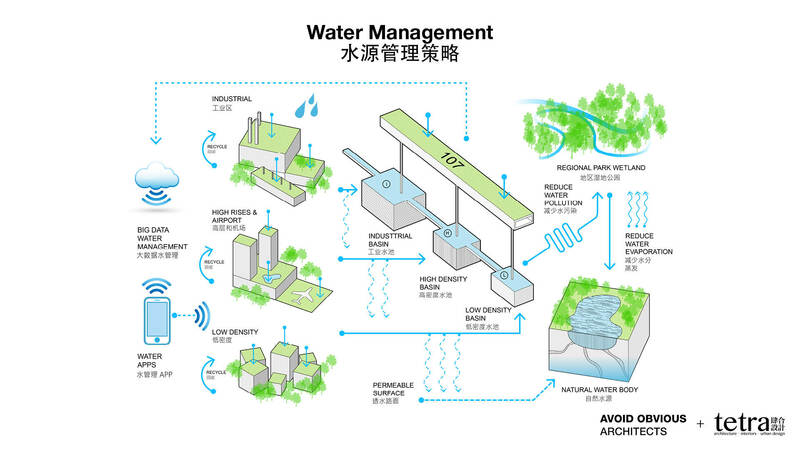 Landscape treatment, water management and transportation are tied closely together with the new G107. 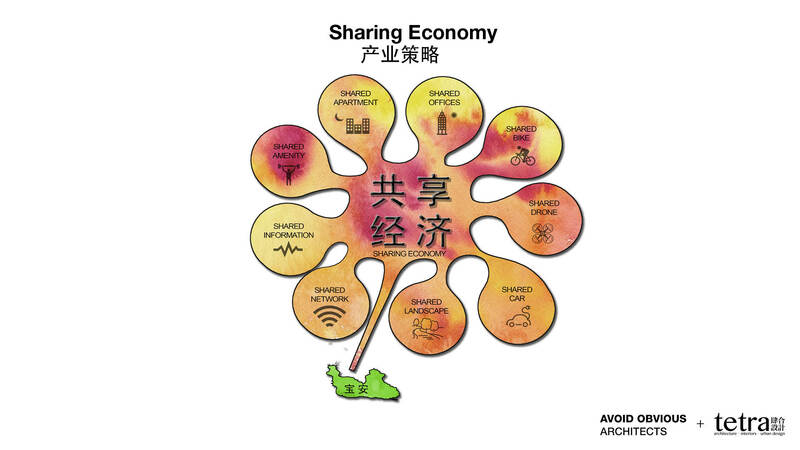 With the development of a sharing economy, transit hubs with shared vehicles will be deployed along G107 above every intersection. 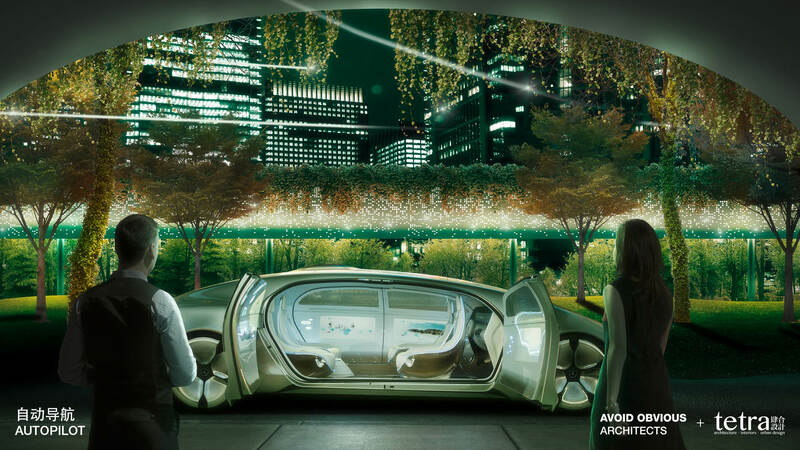 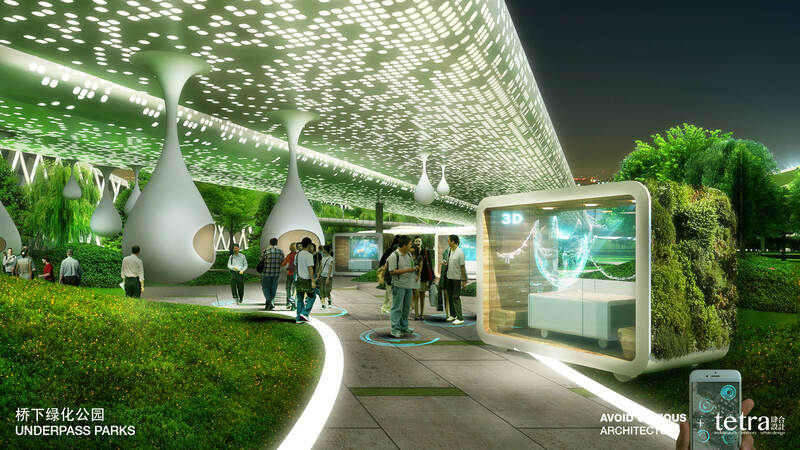 The multi-layered design will not only create a smooth transit experience, but it will also carry smart technology to manage water and air pollution. 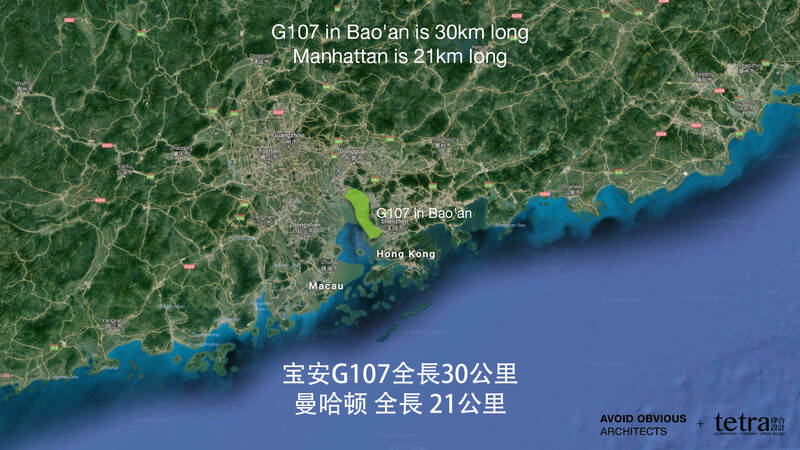 The new G107 will no longer be a deterrent to development, but a valuable asset for Bao’an. 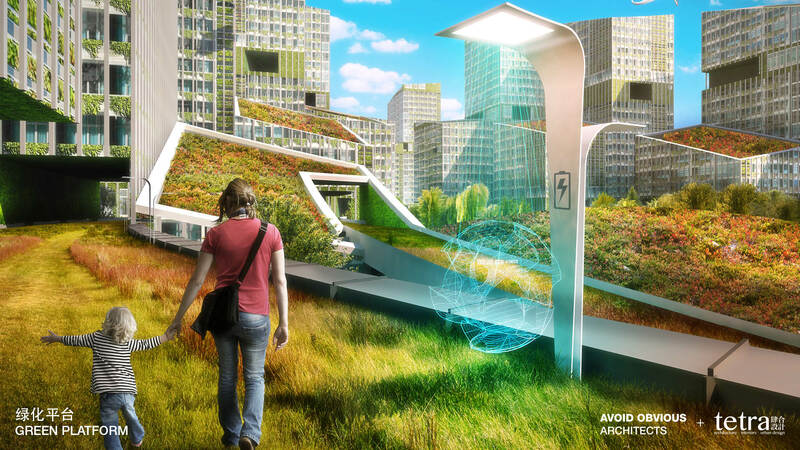 Our smart design will drastically reduce the city’s carbon footprint. 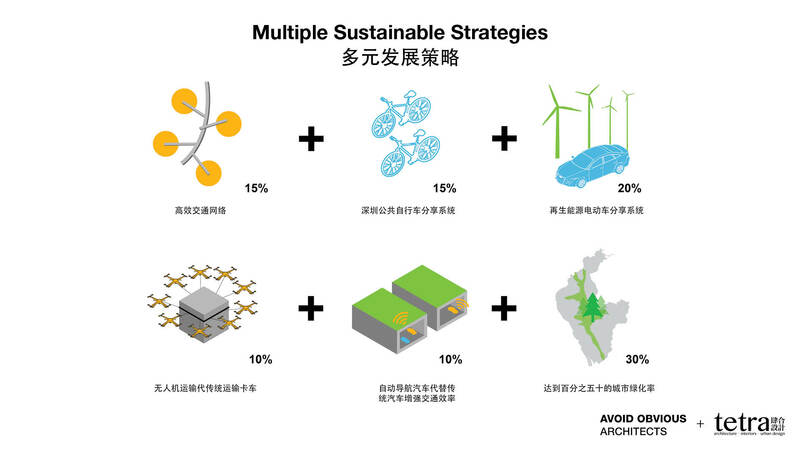 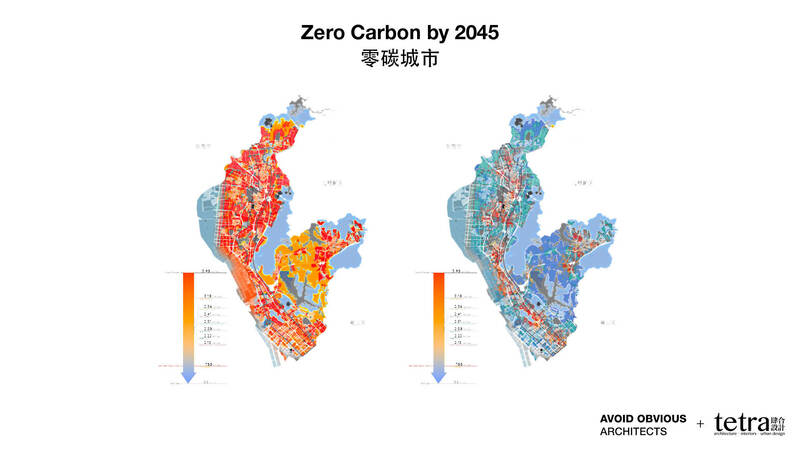 The ultimate goal is to make Bao’an a smart city that can be carbon neutral by 2045. 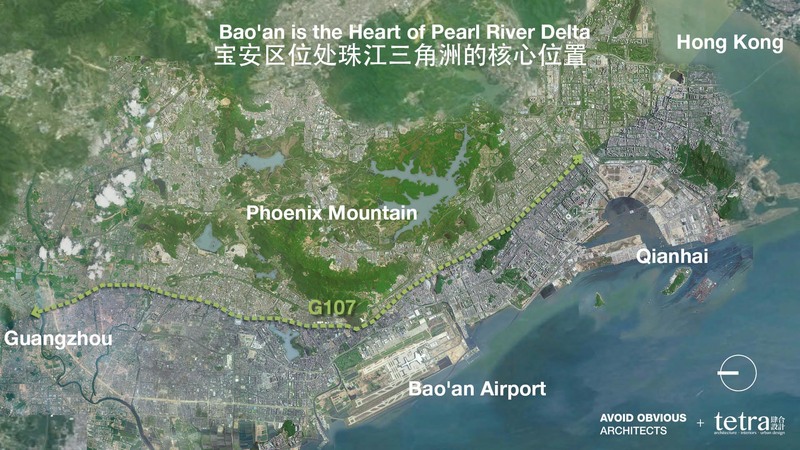 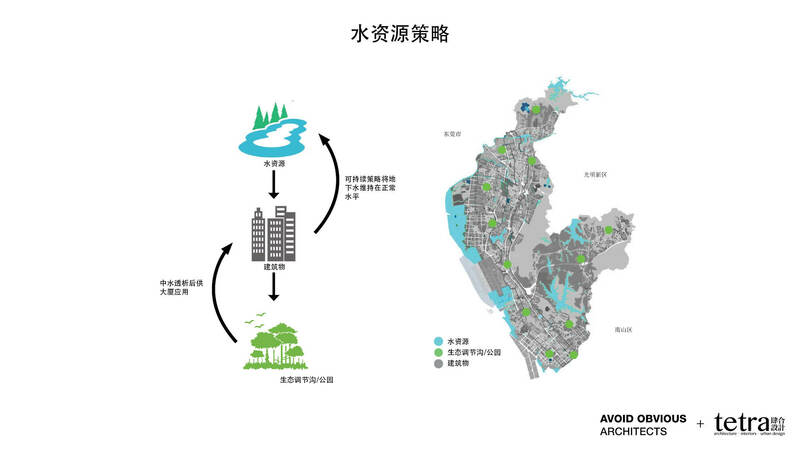 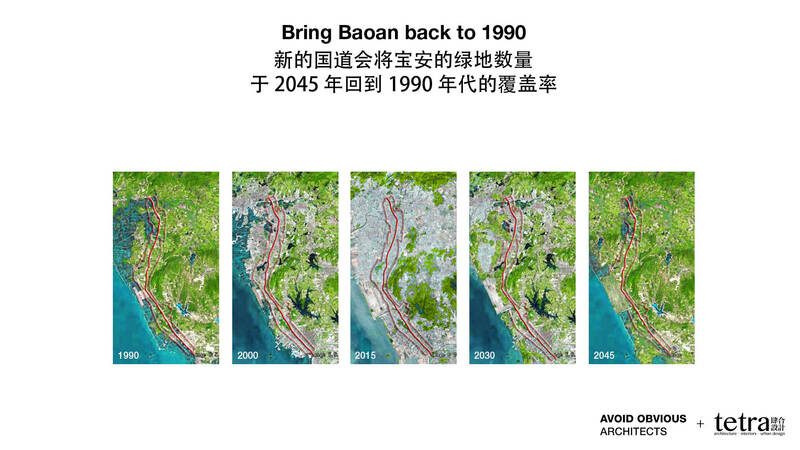 Our design intent is not to give up Bao’an as a manufacturing town, but to upgrade its facilities into a “Green Manufacturing City” with the power to share and connect people, places, and amenities. 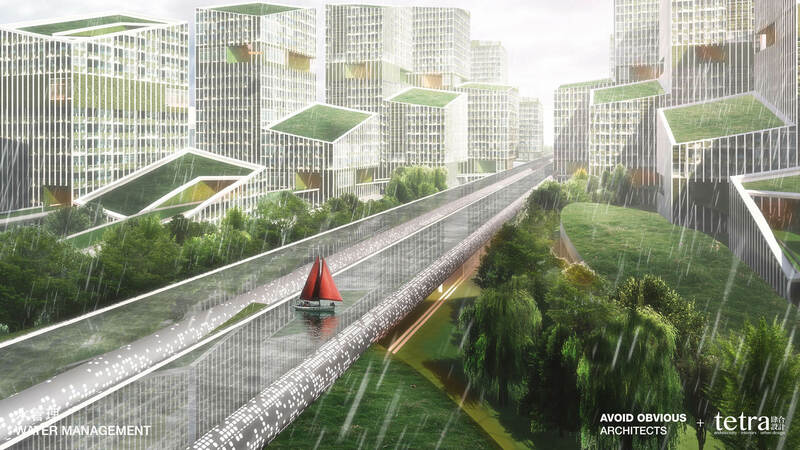 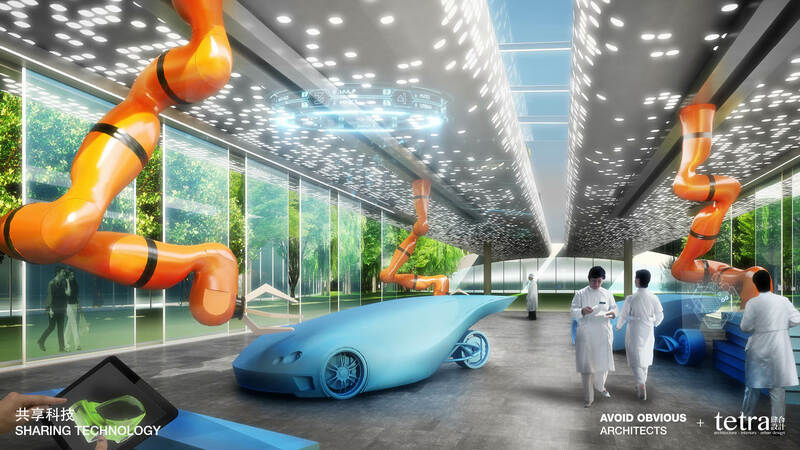 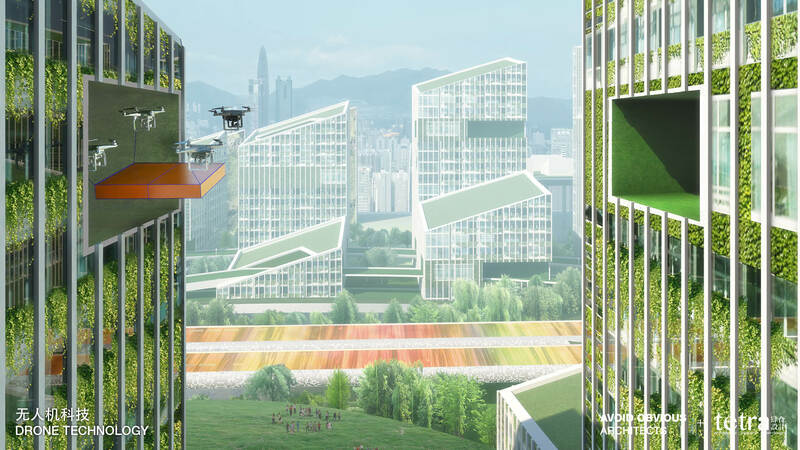 This sustainable city will celebrate the new “sharing economy” with facilities like transparent factories, drone ports for deliveries, open platforms for experiments, mobile offices and natural amenities to share. 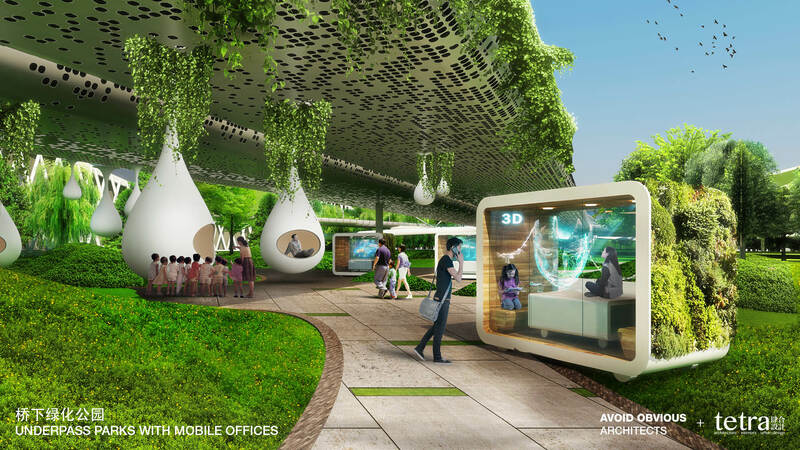 The new G107 will be a place to LIVE, WORK and PLAY. 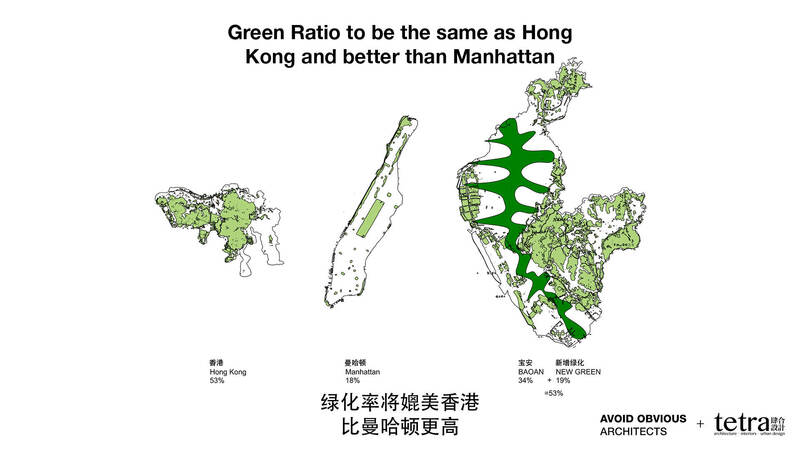 Shenzhen have won the greenest city award in China, but Bao’an is behind on its pollution management and green ratio. 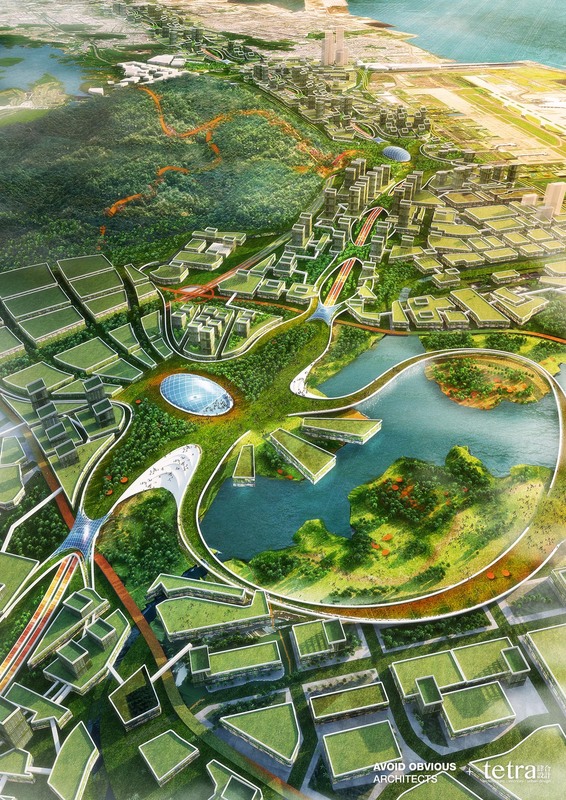 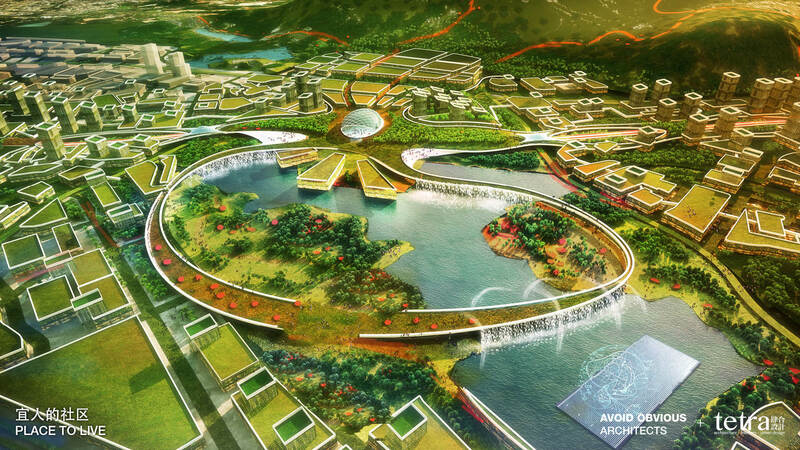 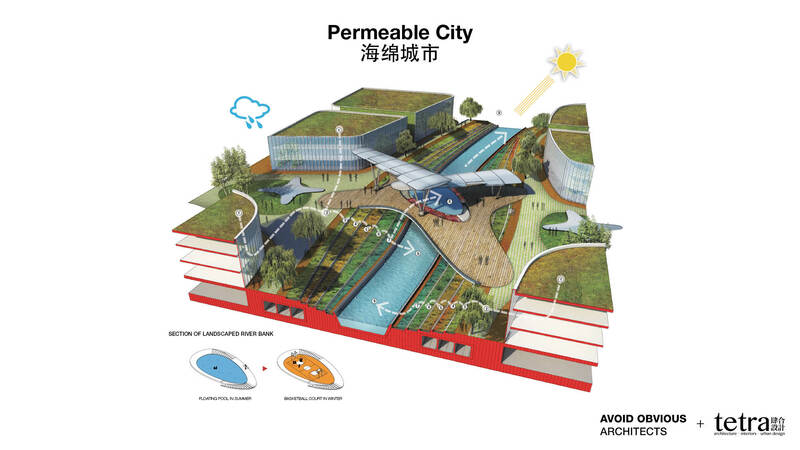 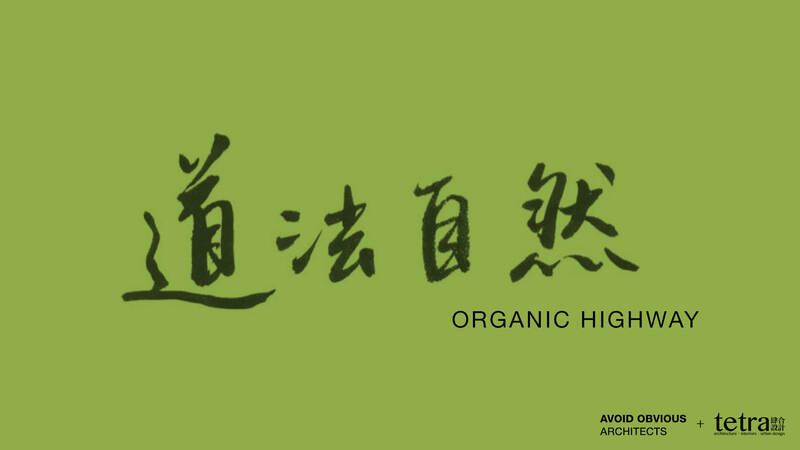 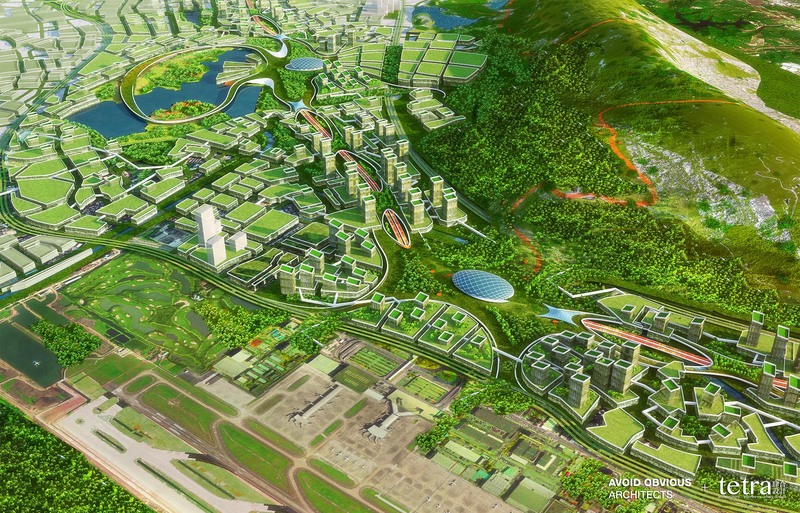 With our design, Bao’an can and will be the greenest of the greenest city in China. 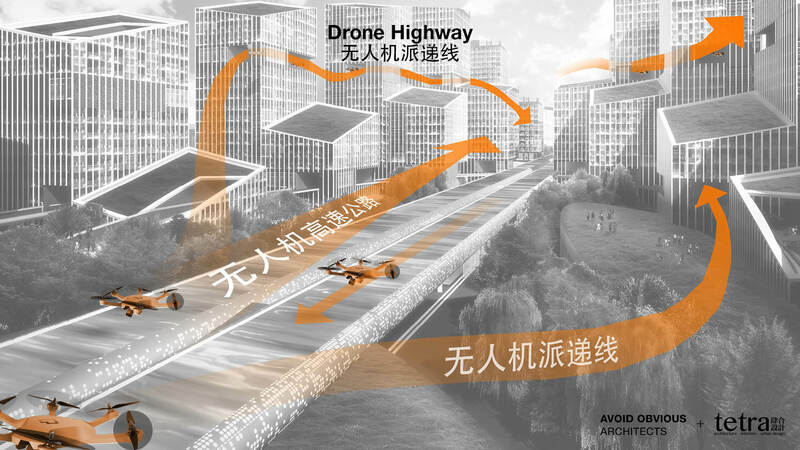 With the first drone highway and the first green manufacturing facilities, Bao’an will become a pilot city for the world to emulate and learn from. 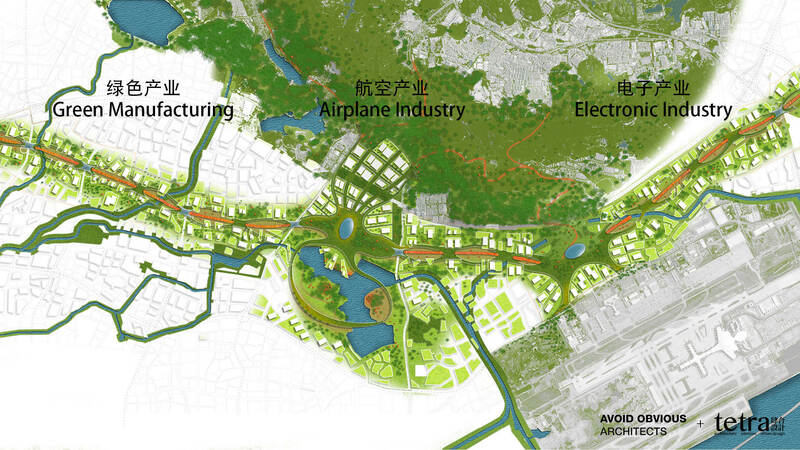 At the same time we will totally redevelop our old manufacturing town. 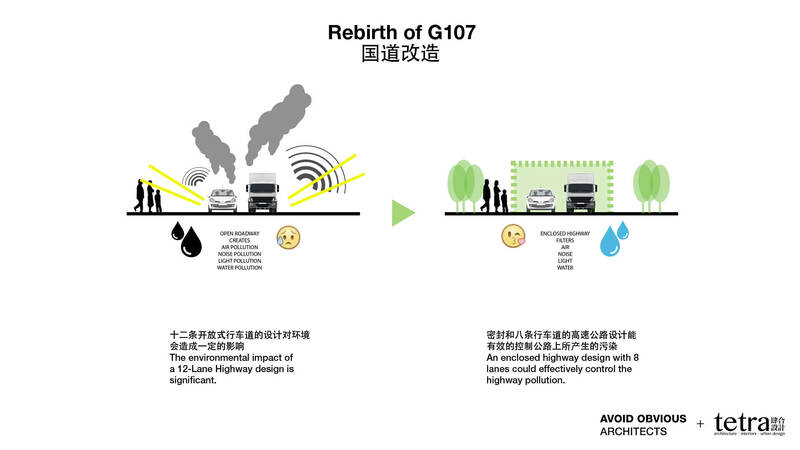 The new G107 will enhance Shenzhen as the “City of Design”. 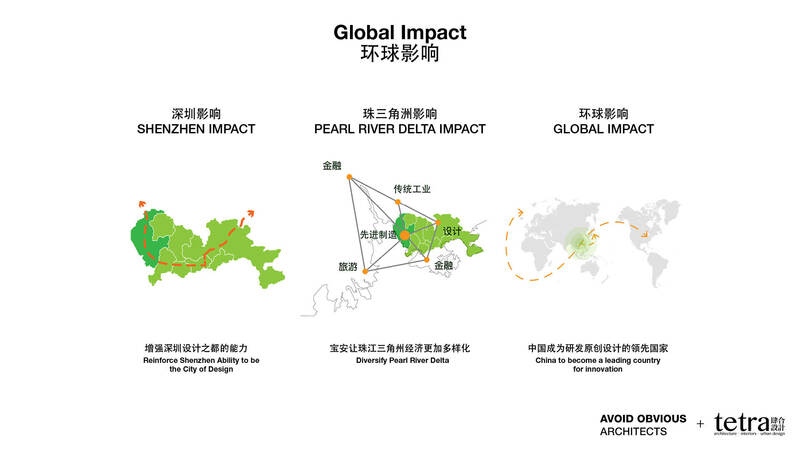 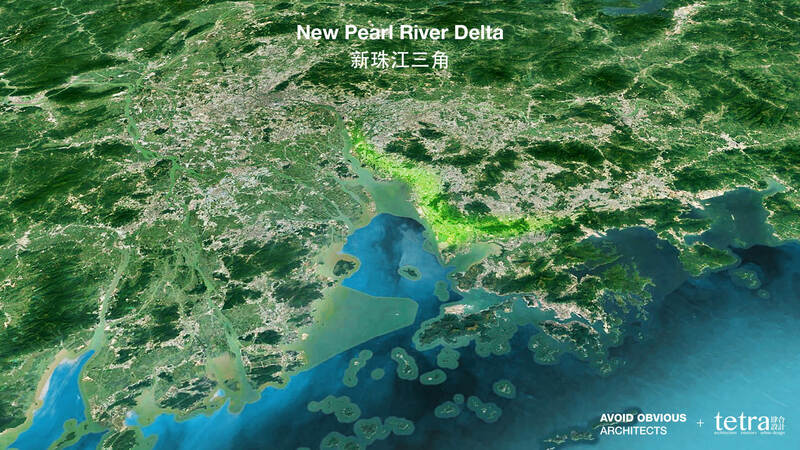 It will also diversify and redefine the Pearl River Delta and help establish China as a leader of innovation on a global scale. 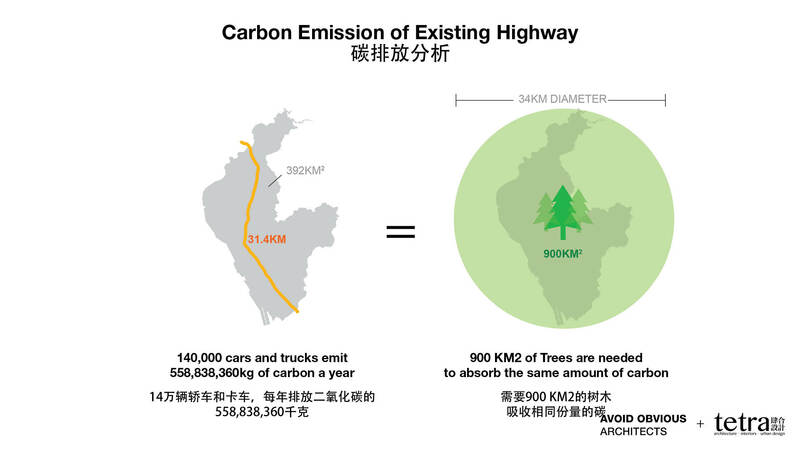 The redevelopment of 30km long G107 highway in Bao'an. 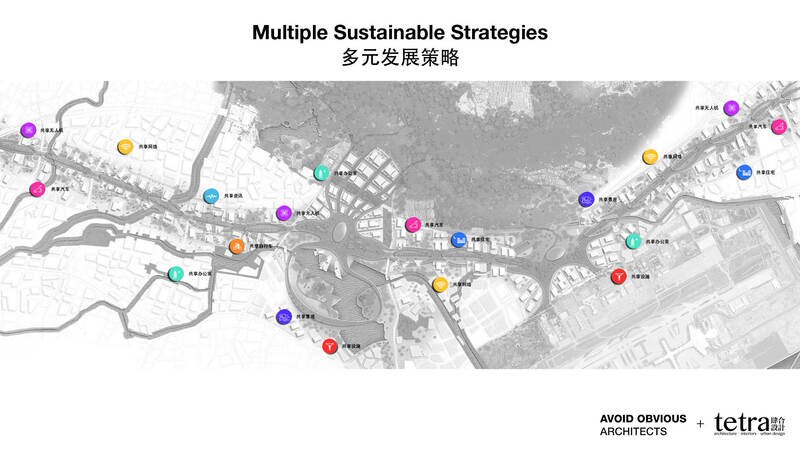 This is a collective approach with a joint venture from three design firms. 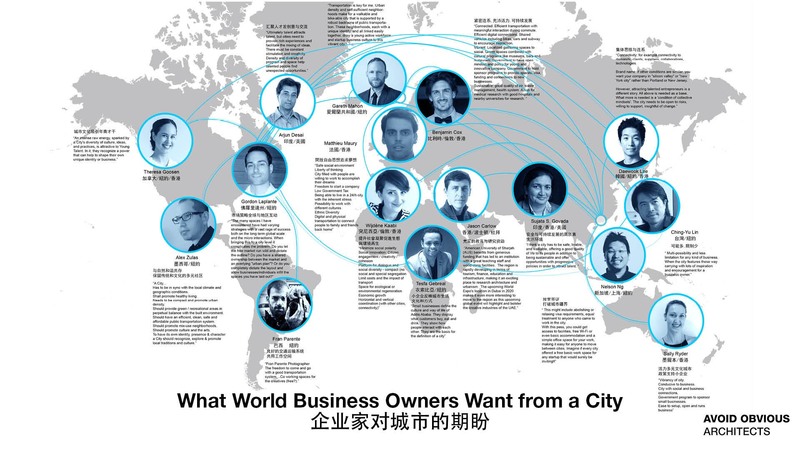 Full credits at the bottom of this page.